Slice the squeezed oranges into medium to thick pieces and place into a bowl along with the orange juice and 84.5 US fl oz water. Leave the mixture to soak for 24 hours. Pour the mixture into a Kilner® preserving pan and bring to the boil. Reduce to a simmer and cook covered for 2 hours until the peel is soft and the marmalade has reduced. 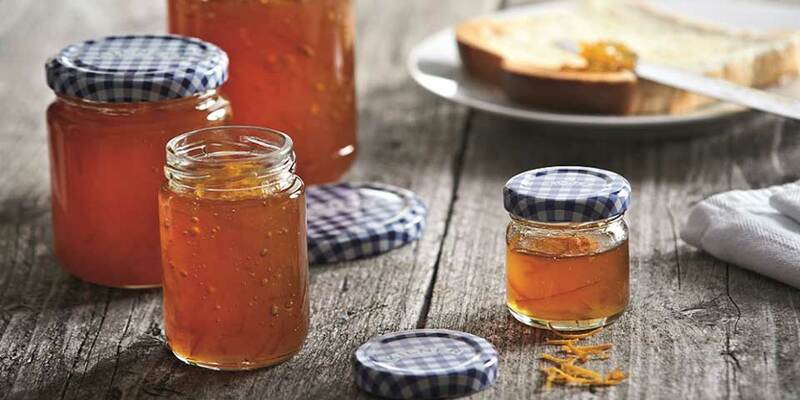 Pour the marmalade into warm sterilized Kilner® jars leaving 1/2 inch headspace. Wipe threads of your jar and seal. Process your Kilner® jar using your preferred method or as advised in your recipe. Once sealed, store in a cool dry cupboard. Once opened refrigerate.